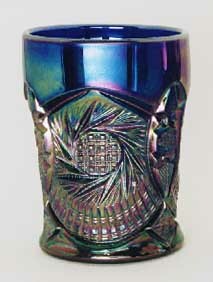 When I posted this photo of a tumbler that sold at a 1999 auction for $40, I had no idea who made it. 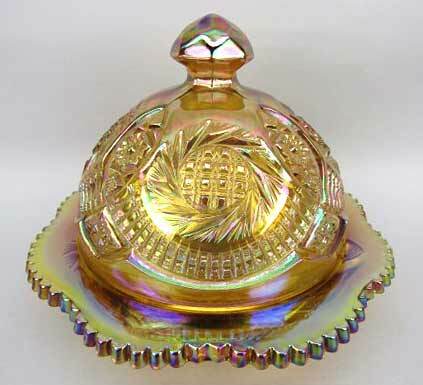 In September of 2018, King Hoppel sent me this photo of an amber butter dish that appears to be the same pattern. It is marked with the Smith "S."